The BBBEE Act empowers the Minister of Trade and Industry to issue Codes of Good Practice, which are to be applied in the development and evaluation of Black Economic Empowerment Charters. When undertaking procurement of goods and services, the state and its organs must ensure that they do so in compliance with the provisions of the BBBEE Act. The BBBEE Bill is currently in the process of being finalized. “These objectives, amongst others, are to align the B-BBEE Act with other legislation impacting on B-BBEE and with the Codes; establishment of the B-BBEE commission to establish an institutional environment for monitoring and evaluating Broad-Based Black Economic Empowerment; provide for the regulation of the verification industry by the Independent Regulatory Board of Auditors and deal with non-compliance and circumvention by, inter alia, introducing offences and penalties. Once the amendments take effect, they will have the force of law and companies, the state and its organs will be required to ensure strict adherence thereto, in particular develop systems for monitoring and evaluating BBBEE. Care should be taken to avoid fronting and corruption. The BBBEE Bill is currently in the process of being finalised. The Bill also introduces inclusion of specific statutory offences involving fronting and other forms of fraudulent misrepresentation of empowerment status and the specification of penalties and blacklisting of entities and/or management for those offences. “(1) The business and affairs of a company must be managed by or under the direction of its board, which has the authority to exercise all of the powers and perform any of the functions of the company, except to the extent that this Act or the company’s Memorandum of Incorporation provides otherwise”. It is therefore mandatory for a company’s affairs to be conducted by a Board of Directors the Board”). The Board is the organ that manages a company and together with shareholders/members acting at a shareholders/members’ meeting, as the case may be, is a powerful lever of power. The Companies Act however places stringent requirements on directors when exercising this enormous power that they possess. Directors are required to uphold the highest standards of conduct, integrity and act at all times in the interests of the company and avoid any conflict of interest. If directors should fail to uphold these standards, they may be held liable for breach of a fiduciary duty. Directors have a fiduciary to act in the best interest of the company and to perform their duties with diligence, skill and care. Failure to do so may ensue in personal liability for directors. The Companies Act imposes an obligation on directors to disclose their financial interests. Directors are not allowed to compete with their company by having a conflict of interest or appropriating corporate opportunities. Directors can be removed by shareholders in terms of section 71(1) or by the Board of directors in terms of section 71 (3) if alleged to have been derelict in the performance of their duties. Prescribed officers include Company Secretary, Chief Executive Officer, the Chief Financial Officer and any other person that performs executive functions. The Companies Act imposes fiduciary duties on prescribed officers. Directors and prescribed officers may be held personally liable for damages for breach of a fiduciary duty. Section 30(7) empowers the Minister to make regulations and make known categories of companies that require auditing. In general, therefore, private companies are not required to be audited. Regulation 28(2) however makes provision for the independent review of the annual financial statements of companies that are exempt from having their annual financial statements audited or independently reviewed. The Minister has also prescribed in Regulation 28 that any profit or non-profit company that holds assets in a fiduciary capacity in any financial year in excess of R5 million rand must be audited. Though no definition is provided of “person who holds assets in a fiduciary capacity” is provided, such person is one who owes a duty of loyalty to safeguard the interests of another person or entity in ordinary legal parlance. Pension funds, mutual funds or investment banking entities, etc. Generally, therefore, the choice for private companies is between being audited or independently reviewed. Companies that require neither auditing nor independent review are those in which all the shareholders are also directors, though there are exceptions to this. The purpose of the Companies Act is set out in section 7. The Companies Act applies to all companies registered thereunder. Companies registered under the Companies Act of 1973 are deemed to be registered under the Companies Act of 2008. This means that all companies registered under the 1973 Companies Act have to comply with the new Companies Act. A state-owned company is a company registered under the Act as company and is either listed as public entity in schedule 2/3 of PFMA or is an enterprise owned by municipality in terms of the Systems Act. The name of a state-owned company must end with the suffix SOC Ltd. Non-profit companies have replaced section 21 companies. Under the 1973 Act, non-profit companies were regarded as public companies. The distinction between private and public companies has now been abolished. In the Cunninghame v First Ready Development 249(association incorporated under section 21) , the Supreme Court of Appeal held that communal activities exclude those of a commercial nature, otherwise such activities run the risk of being declared not permissible for a section 21 company . All non-profit companies must therefore amend their company documents to comply with section 11. This amendment will extend to company registration documents, letterheads and all other company documents. The name of a non-profit company must end with “NPC”. Section 24(3) enumerates the required documents that a company must keep. These records must be kept at the registered office of the company. Section 26 imposes an obligation to provide the requested information to a member of a company. It is significant to note however that shareholders do not have an automatic right to accounting records and may have to bring an application in terms of the Promotion of Access to Information Act to gain access to such records through a court application. These principles were clearly articulated in the leading case of Clutchco Ltd v Davis. Companies are however protected from providing information that falls within the ambit of protected information as defined in Promotion of Access to Information Act 2 of 2000. Shareholders can therefore demand access to accounting records and always have the option of approaching the courts to compel the company to provide accounting records. Shareholders however, to demonstrate to the courts what rights they seek to seek to protect and how access to such records will assist them. In other words, shareholders need to make out a substantive case for access to accounting records. Under the 1973 Act, companies were required to have two constitutive documents, namely articles and memorandum of association. The Memorandum of Incorporation is a single constitutive document that sets out the rights and obligations of the shareholders vis a vis the company, shareholders inter se, directors and the company as well as the relationship between the directors and the shareholders. The Memorandum of Incorporation which must contain unalterable provisions and may contain alterable provisions. Alterable provisions are those that companies may voluntarily elect to be applicable to themselves whereas unalterable provisions must be complied with by all companies, irrespective of type and category. Companies cannot contract out of unalterable provisions. An example in this regard would be provisions regarding director duties. The Rules of the Board (Board Rules) and Shareholder Agreements are examples of alterable provisions that a company may elect to be applicable to itself. The Board is not compelled to have Board Rules. This is completely discretionary. However, if companies should elect to have Board Rules, provisions for this must be made in the MOI. These Rules must not be in conflict the Companies Act or the Memorandum of Incorporation otherwise they will be null and void to the extent of their inconsistency. Shareholder Agreements and Board Rules must not be in conflict with the Companies Act; otherwise they will be void to the extent of their inconsistency. This simply means that only those provisions that may be found inconsistent with the Companies’ Act would constitute a nullity but the rest will be binding. Furthermore, Board Rules will bind companies only if ratified by ordinary resolution at the meeting of the Board of Directors. In conclusion therefore, all companies registered under the Companies Act are required to have a Memorandum of Incorporation. Companies have however been given time to ensure compliance with this provision. Time is however fast running out for companies to align their documents to the Companies Act as the cut-off date has been determined as 30 April 2013. In other words, companies registered under the 1973 Act have until 30 April 2013 to ensure that they convert their Articles and Memorandum of Association into a Memorandum of Incorporation. The aim of the PPPFA is to inter alia encourage and enhance the participation of Historically Disadvantaged Individuals(“HDI”) and Small Medium and Micro Enterprises(“SMME”) in the public sector procurement system. Contracts must therefore be awarded to a tenderer who scores the highest points; unless there are specific goals and objective criteria that justify the award to another tenderer. The HDI status and the RDP are not exhaustive of the specific goals as defined. In other words, though the courts have interpreted specific goals restrictively, it is possible to include goals other than HDI status and the RDP as specific goals. The specific goals must however be included in the tender documents to enable tenderers to ascertain the evaluation criteria in advance. It is therefore critical for companies to comply with these requirements and take particular notice of the requirement to include the specific goals in their tender documents. The meaning of objective criteria has been the subject of many court cases. The primary issue has been the meaning to be afforded to the phrase “objective criteria in addition to those contemplated in paragraphs (d) and (e)”. 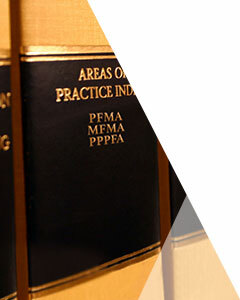 In Grinaker LTA v Tender Board (Mpumalanga), the Court held that section 2(1) (f) of the PPPFA is peremptory and the contract must be awarded to the tenderer who scores the highest points unless additional objective criteria exist. However, the court did not give an indication of what constitutes objective criteria. The Court did not however give an indication of the meaning to be attached to the phrase objective criteria. It only provided an opinion on the elements it did not consider objective criteria. In the absence of any widely accepted definition of objective criteria, it is submitted that the courts will determine these on a casuistic basis. The jury is therefore still out on the meaning of objective criteria.